The 307 Pillow is charted for 40 count silk gauze. 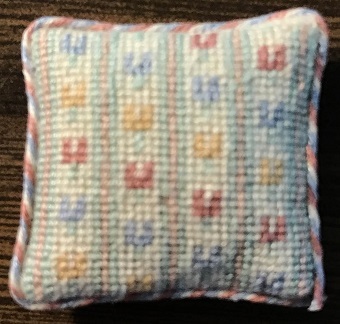 The approximate finished size is 7/8" square. Purchaser will receive a link to download a PDF file with the chart, thread suggesions and Lucy's directions for preparing, stitching and finishing a pillow.